When you are looking for the most luxurious and dedicated spa experience in the Dallas area, Rejuve Med-Spa combines high tech treatment in an environment that is warming and luxurious. Combining the latest in medical spa technology and exceptional customer care is what makes Rejuve Med-Spa the number one spa in Dallas. Dedicated spa specialists wait to pamper and delight even the most select of tastes and completely tend to your needs. No matter what your reason for medical spa treatment, the relaxing atmosphere and advanced facilities put you at ease for rapid recovery and fulfilling rest. 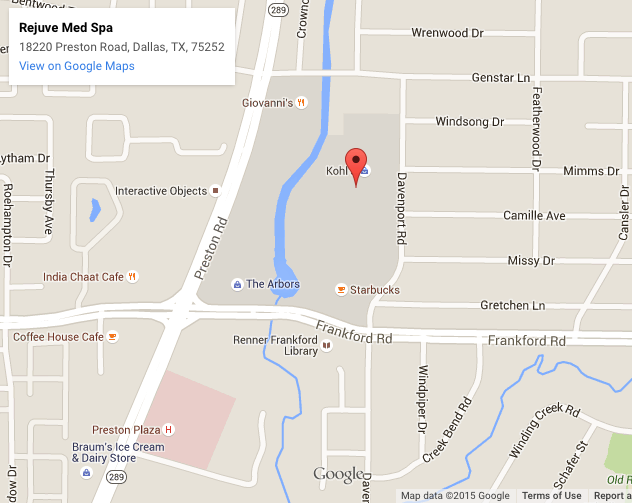 When looking for the best medical spa in Texas, it takes more than advanced equipment. Superior customer service and a dedicated staff relax your body and make you feel at home, critical to the success of any spa treatment. From cosmetic surgery, hair removal and laser liposuction, the pros at Rejuve Med-Spa utilize FDA approved lasers for all laser procedures. Pain free and convenient for anyone looking for professional hair removal, it’s never been easier to feel and look better with a trip to the best spa in Dallas. Not just for cosmetic treatments, but for preventative and restorative skin care as well, the SkinPen stimulates new collagen growth and minimal downtime. Skin exfoliating treatments and micro needling processes can rejuvenate your skin tone and restore your natural glow. Providing minimally invasive treatments that yield tangible results, their service is a huge reason why Rejuve Med-Spa is the official Med-Spa for the Dallas Cowboys Cheerleaders. Unlock your inner beauty and make sure you feel as good as you will look after a trip to this luxury spa. Enjoy a taste of true luxury and high tech professional care that continues to get better to serve their customers. Leading edge technology managed by licensed engineers and spa treatments administered by some of the best caretakers in the industry, Rejuve Med-Spa is the best luxury spa in Texas. Dedicated to customer service and the best in luxury spa treatments, the facility recently upgraded their equipment with a very unique addition. The team at Rejuve Med-Spa recently added the award winning Zimmer Cryo 6 unit to their wide range of high tech treatments to expand their suite of pain free services. The Cryo 6 unit lives up to its name by providing cooling for any epidermis related procedure, and reducing pain and discomfort. Used by cosmetic surgeons and professionals around the world, the Zimmer Cryo 6 unit at Rejuve Med-Spa continues to display the quality of facilities at work. Want to see and feel the difference yourself? Come and see the folks at Rejuve Med-Spa for a truly luxurious spa experience that you won’t soon forget. Please visit www.rejuvemedspa.com for additional information.